Tipped Employees & Side Work More Than 20 Percent of Duties | Kennedy Hodges L.L.P. The 99 percent have occupied Wall Street, but there is another part of the population that may need to occupy restaurants nationwide. As a tipped employee in the U.S. your side work may be subject to the 20 percent rule. A wage and hour ruling against Applebee’s highlighted the fact that if you spend over 20 percent of your job duties on side work, your employer could be responsible for paying you minimum wage for your hours. 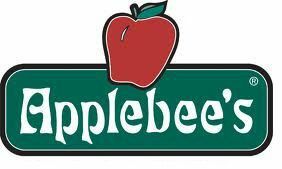 Applebee’s was sued by 5,543 current and former servers and bartenders for allegedly violating the Fair Labor Standards Act (FLSA). Applebee’s was allegedly taking a tip credit out on bartender’s and server’s minimum wage, but the worker’s duties exceeded a 20 percent threshold of side work duties on shift. Since these side work duties do not produce tips the employees argued Applebee’s should have paid a full minimum wage for that time. An appeals court sided with the workers, pointing to a 1988 Labor Department handbook with the 20 percent rule. The Supreme Court turned down Applebee's request to review the case, leaving the lower court’s ruling intact. The case is set to go to go back to trial in September. Even the most well-known restaurants apply the wage and hour laws incorrectly. If you are a tipped employee and you are unsure if you are being paid correctly, contact our employment lawyers toll-free at 1-888-449-2068 to start a free case review. You can also order our free book, The 10 Biggest Mistakes That Can Hurt Your Wage and Overtime Claim, to learn more about the FLSA.